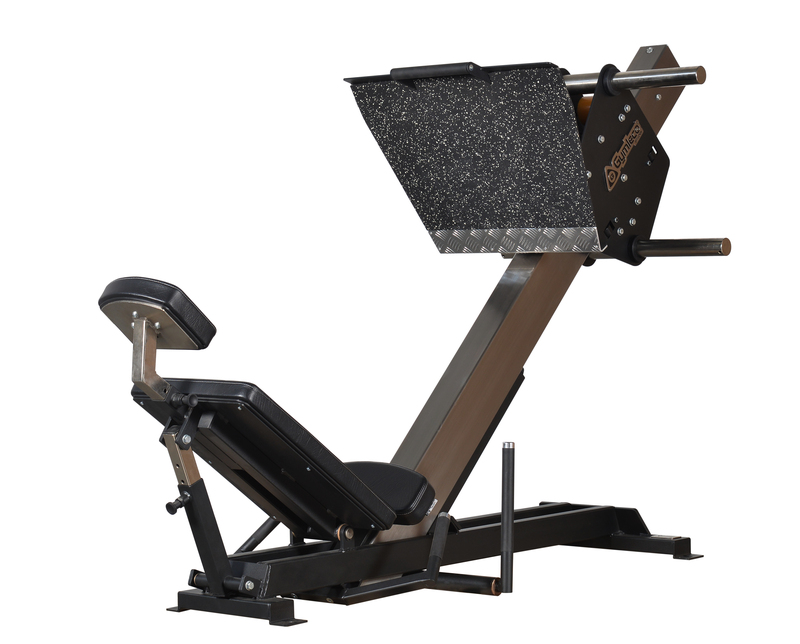 Leg press with a tasteful and open design that saves space. The trolley movement is smooth and stable thanks to the suspension and the unique construction with only a single strong central beam. The open design with only one cental beam gives maximal safety to its users. 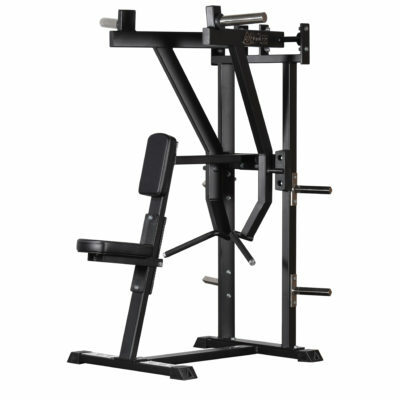 An additional central handle facilitates the access to the machine.The large footplate and the ergonomically designed seat provides great freedeom of exercise. 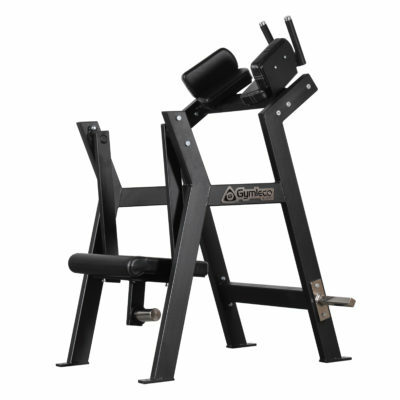 Adjustable backrest, headrest and footrest. 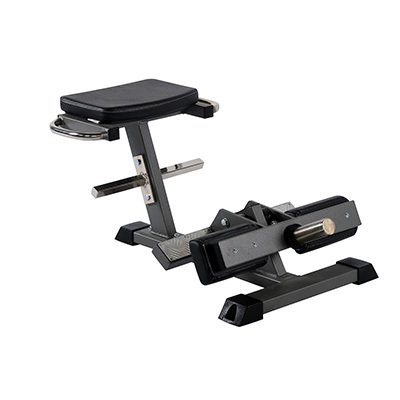 Large, adjustable, rubber-coated base plate with thigh training section. Very solid frame and carriage.